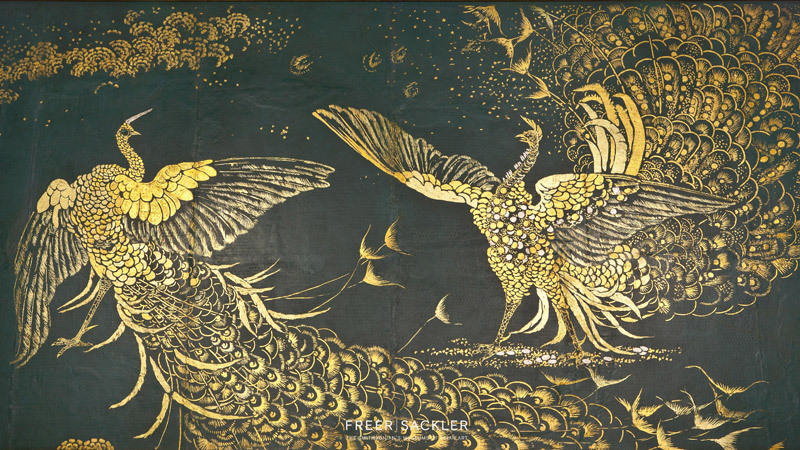 Whistler’s original, Harmony in Blue and Gold: The Peacock Room (1876), was the dining room of the London home of shipping magnate Frederick Leyland. It was designed to showcase Leyland’s collection of Asian ceramics, with Whistler’s painting La Princesse du pays de la porcelaine (1863-64) featured over the mantle. Asked to consult on the color scheme for the room, Whistler took bold — if not egregious — liberties while Leyland and his architect were away and in a fit of enthusiasm painted the entire room — executing his now famous peacocks over the expensive Italian leather wall panels. The collector sued the artist for the large sum of money Whistler charged to Leyland’s account, and Whistler, in response, painted an unflattering caricature of his patron titled The Gold Scab: Eruption in Frilthy Lucre (The Creditor). Conflating the words frilly and filthy, Whistler made a jab at Leyland’s own ‘peacocking’ as well as his miserliness. 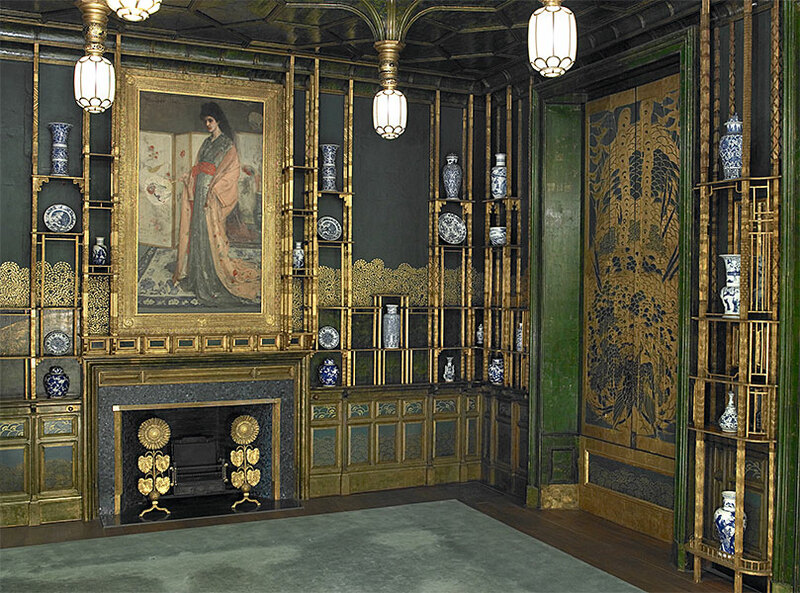 Having acquired the centerpiece of the room, Whistler’s painting of The Princess from the Land of Porcelain, American industrialist a Charles Lang Freer purchased the entire room in 1904 from Leyland’s heirs. Freer then had the contents of the Peacock Room installed in his Detroit mansion. 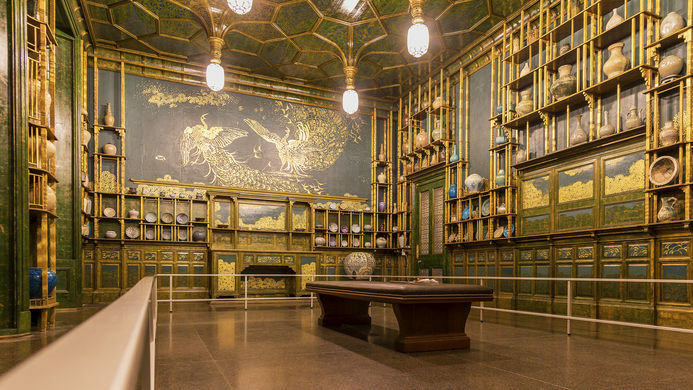 After Freer’s death in 1919, the Peacock Room was permanently installed in the Freer Gallery of Art at the Smithsonian in Washington, D.C. where it was completely restored in 2011.